Malcolm Mitchell accepting an award for his activism for literature. Sally Stewart, a speech therapist at Holsenbeck Elementary School in Winder, Ga., created a GoFundMe page to raise money to purchase a copy of the children’s book for each student as part of the school’s READ Campaign. 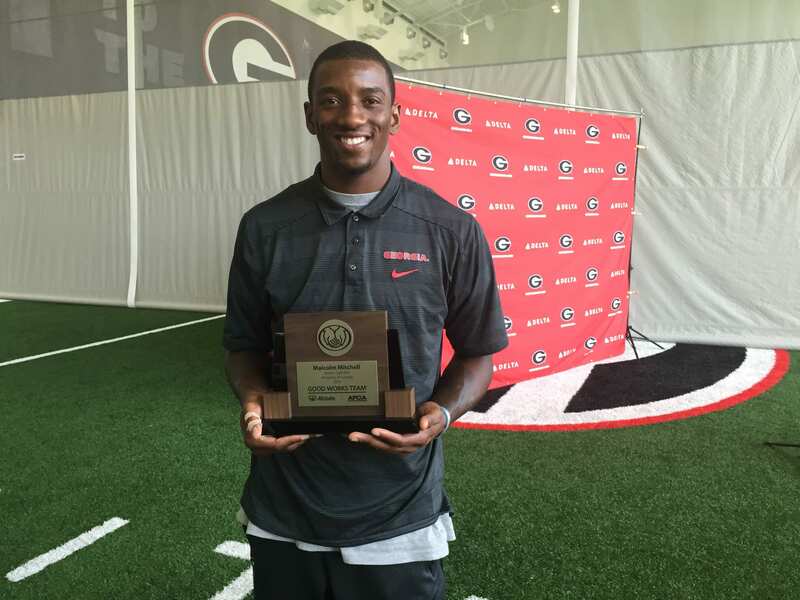 Stewart says the author of the book, University of Georgia wide receiver Malcolm Mitchell, is a role model to many of the students at the elementary school.